It is a rare book that can have you smiling from beginning to end because you can’t help yourself. Catalina, Stryder and Jax are portrayed in such a way that by the time you’ve finished the book, you feel like you’ve caught up with family members. They’re vivid, wonderfully depicted characters that face challenges that can cripple and maim but together, these three persevere and you find yourself cheering the entire time for everything to be all right. 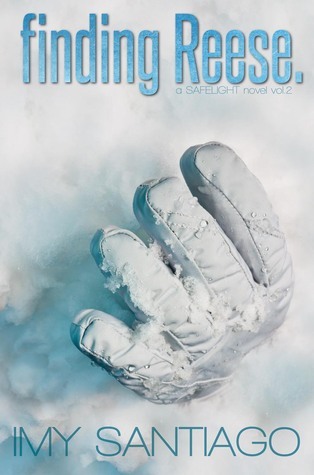 Finding Reese is book two in the Safelight series and is a direct continuation of Chasing Reese, book one so if you haven’t read (OMG why not?! ), pick that up first or risk spoilers. The chapters are told in the POV of one of the three main characters which I loved since we glimpses into each of the characters thoughts and works so well. Throughout all this, Catalina and Stryder are having their own crisis. They are passionately in love in love with one another but both are scared of what the future holds. Catalina, having her husband and child ripped from her life four years ago, never thought she feel the type of love that she has for Stryder. Stryder, after having been burned by his ex-wife Olivia, Jax sister, never thought he’d allow someone into his soul. Their path won’t be an easy one but their story is told so beautifully, I wish I can rewind to the moment before I started the book, just so I can experience it again. Pick this up and experience, not read, but experience, this amazing book.